I finished this book in one sitting. It is – for the lack of a better adjective – unputdownable. I have been wanting to read it ever since its launch at the Singapore Writers Festival last year, so I’m really glad I finally got my hands on it (thanks a bunch Epigram books!) If you haven’t already know, this title has been nominated for the Singapore Literature Prize this year, huzzah! Flamingo Valley, Every Park on This Island, Love Is No Big Truth, and Alice, You Must Be The Fulcrum of Your Own Universe, are a few of my favourites from this book. She paints her characters so vividly; honest, raw, and flawed. I like how her characters are displayed as quintessentially Singaporean, and that they are also nonconformists, in a sense. They are not merely two-dimensional – they possess a rich layer of personality, with real dreams and desires. Much like you and I. Some of the characters that stuck out to me are Deddy Heikel, the pop ye-ye singer has-been who’s in love with a Chinese lady, Zurotul, the ill-starred maid who was fleshed out twice in different, alternative situations, and Marl, the bullied misfit now turned ladyboy… What makes all of them striking is their humanness and vulnerability that we can all connect with. Some stories at times left me wanting more. The setting & characters have tinges of unreality but familiarity at the same time, which sort of reminds me of Haruki Murakami’s works, in a way. There also seems to be this recurrent theme of seeking freedom in all the stories. I realize, the uncertainty of identity, the yearning for something better, the desire to escape, is reflected from the narrative, addressing the realities of life as citizens in this country. What I particularly like about this book is, unlike the Singaporean stories that I’ve read which are largely nostalgic of our past, Amanda’s contemporary take, where our national symbols and historical elements have been cleverly reinvented in these stories, allows us a peek into a possible future Singapore. All in all, an enjoyable read. 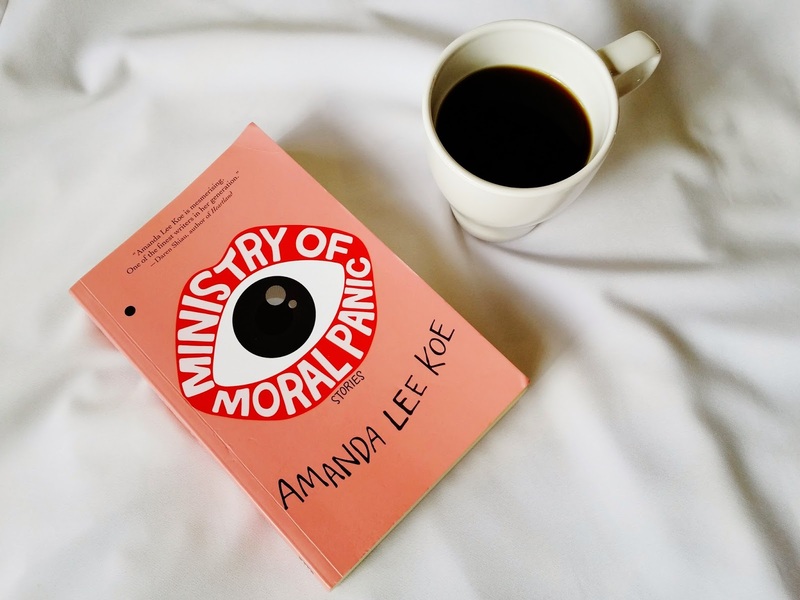 Ministry of Moral Panic is a breath of fresh air – I’d put it on the shelve for a second serving! Here’s a piece of good news for you readers to celebrate the weekend – you guys get 20% off any titles in store! How awesome is that? All you have to do, is to enter the following coupon code at checkout: FICTIONADDICTION. This discount is valid only till the end of September, so grab them books before they’re sold out! Hop on to shop.epigrambooks.sg right now to get your lit fix. Epigram Books ships worldwide. Happy shopping, & happy reading!